Cody Kennedy joins us for Interview Roulette this week! It’s full speed ahead through the first draft without regard to traffic signals, stop signs, yield signs, medians, curbs, bike lanes, crosswalks, people walking pets… and pets walking people. In the second draft, I pay attention to the rules of drivingwriting and work on sentence structure and grammar. In the third draft, my OCD kicks in, and it’s slow and steady, looking for continuity errors, and checking plot points, character emphasis, and arcs. In the final read-through before submission, I’m like a young teen in his first stick-shift truck. Forward, jerk—fix that—forward, jerk—edit that—forward, jerk—that has no story value, delete that—forward, jerk—I like that, beef it up—and so on. My grandfather used to say young people should be recalled as unsafe at any speed. Though now old(er), I may still qualify for being recalled. What is your spirit animal? I have a spirit herd. A unicorn, a fairy, a taco, but mostly, the Diet Coke is strong in me. Describe one of your weird or quirky habits. One? Just one? 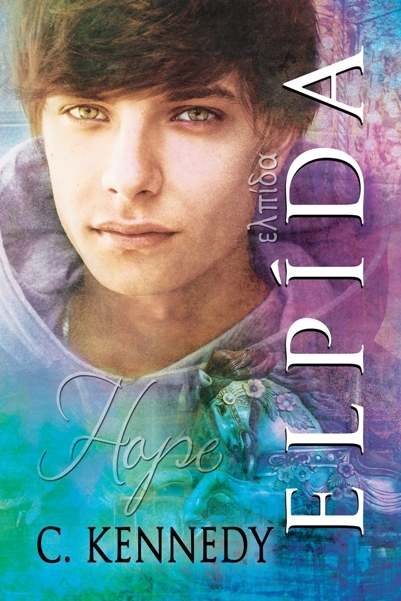 Don’t miss the dramatic conclusion of the Elpída Series! Elpída releases May 30th! Cody is an author who lives on the East Coast of the United States. Cody also writes adult mystery thrillers, fantasy, science fiction, and romance as Aisling Mancy. Cody’s blog, Facebook, Twitter @CodyKAuthor, Pinterest, Tumblr, Google+, Ello, Goodreads, Medium, Booklikes, and read my free serial story, Fairy. Find Ash on blog, Twitter @AislingMancy, Facebook, Google+, Goodreads, Booklikes, Dreamspinner Press Author Page, and Amazon and Ash does respond to emails because, after all, it is all about you, the reader. This is such an interesting blog post! Spirit animal…taco! bwahahahaha. Loved it. Thanks, Sandy! I love my spirit taco! Wow, Sara! What is the other name? Thanks for cropping by and commenting! Can’t wait to hear what you think of Elpida! We eat steak tartaar almost daily, with raw onions. No joke. It’s a national dish here. I think I’d like to move to where you live, Darren. 😉 Thanks for dropping by and commenting!